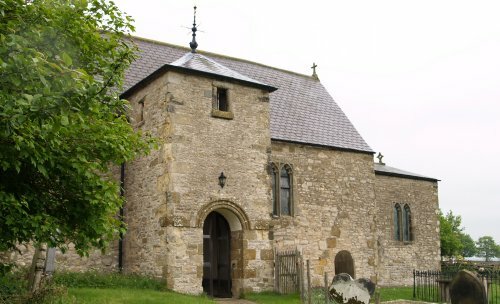 The ancient Anglo-Saxon Church of All Saint's, Old Byland, with its later Norman additions to the building. 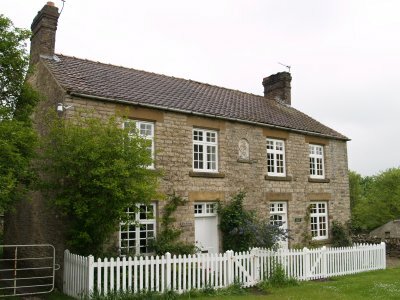 Its a fine old building, so please leave a donation to help with its upkeep and there is hot water plus tea/coffee to refresh yourself with. 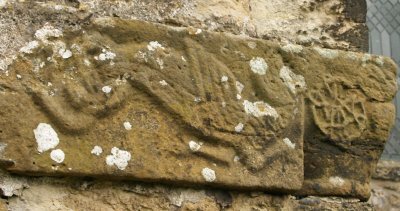 Traces of early medieval Norman carvings of horned man and winged horses by the south entrance. 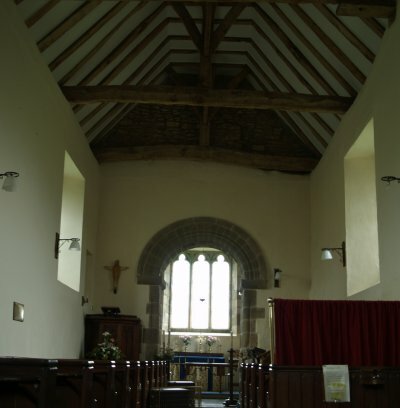 The nave and the Norman chancel arch of All Saint's, Old Byland. 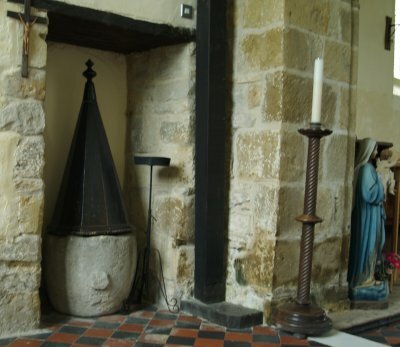 The medieval font with a curious hood on it. 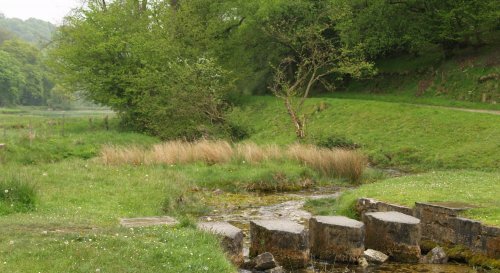 On the way back to Rievaulx you descend through Nettle Dale and after crossing the stepping stones and walk alongside the fish ponds created by the Rievaulx Abbey monks (the 1st is seen faintly on the left). You can then walk on back to the Scawton road parking of Rievaulx Abbey itself.